One of the most common questions we receive from our clients concerns feeding. From how much to feed, what type of food to feed and what time(s) of day to feed, the options in today’s pet food market can perplex even the most educated pet owner. Not only do food-intake needs of each pet vary, but they change throughout his/her life. Read on for a general overview of our recommendations for keeping your pet at his/her optimal health through offering a well-balanced and healthy feeding routine. Puppies and kittens should be fed 4-6 times a day. This should gradually decrease by the time the pet reaches 50 percent of his/her adult body weight. At this stage, pets should be fed three meals per day. Dogs that burn extra calories, such as working or exceedingly active dogs, should be fed more frequently to satisfy their added energy requirements. Smaller, more frequent feedings might be suitable for pets with health problems that decrease their appetite. Because overconsumption of food is a leading cause of pet obesity, Banfield does not recommend all-day access to food. Instead, implement portion-control feeding, in which food is measured using a standard cooking cup to weigh the amount of food your veterinarian recommends for your pet’s daily intake. 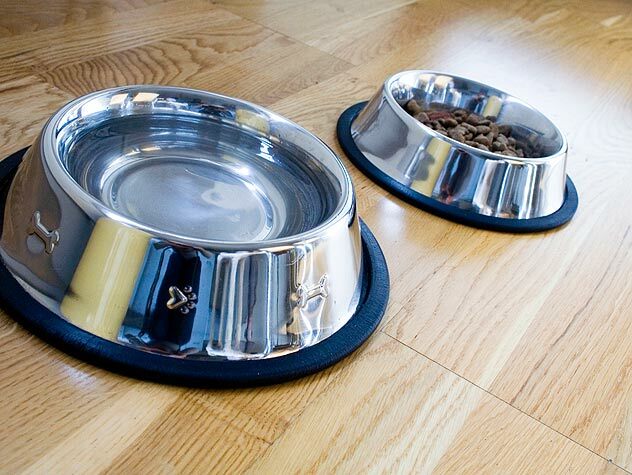 Feed your pet at the same times each day to regulate the digestive system and avoid accidents. Typically, dogs prefer an element of privacy when they are eating. Put down the bowl of food and walk away. Adult cats prefer as many as 8-16 small meals per day. This can be regulated using a timed feeder that opens to release a small meal. Pets should have access to clean, fresh water at all times. If you are concerned that your pet is not consuming enough water, feeding canned food helps encourage water consumption. Cats typically prefer to drink at night because they are nocturnal in nature. Because cats are very sensitive to getting their whiskers wet, use a bowl with a wide surface area. Treats can be an important tool for training your pet’s behavior as well as bonding with your pet. It’s important to remember that treats should only be used as a reward—not as a supplement to food or for any other reason. Unless recommended by your veterinarian for your pet’s specific situation, your pet’s physical health does not require the use of treats or supplements to stay healthy. If you decide to feed your pet treats as a training tool, ensure that it is specifically designed for a dog or cat. 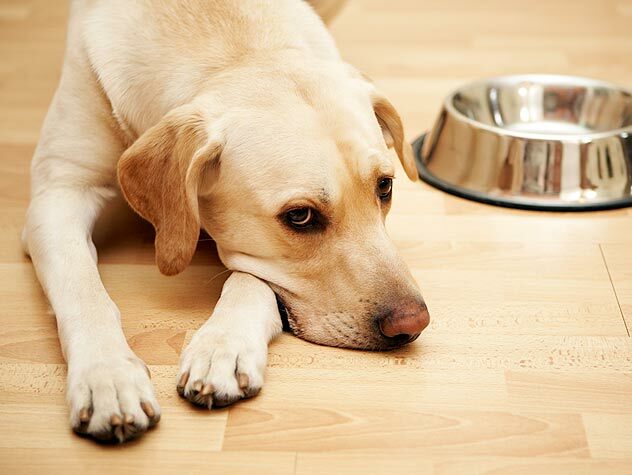 Do not feed your pet human foods as treats or supplements, since this can cause a wide range of health problems from gastrointestinal upset to more serious problems. Low-calorie treats are more desirable because they will be less likely to contribute to weight gain. Contact your veterinarian if you have feeding questions specific to your pet.